Stronger families create stronger communities. Our Family Leadership Workshops are designed to teach simple laws of nature that are proven to make your life easier and more successful. In each workshop, we address a specific problem area known to cause more stress at home. But, this is nothing like a classroom or a regular seminar, it’s FUN and INTERACTIVE! 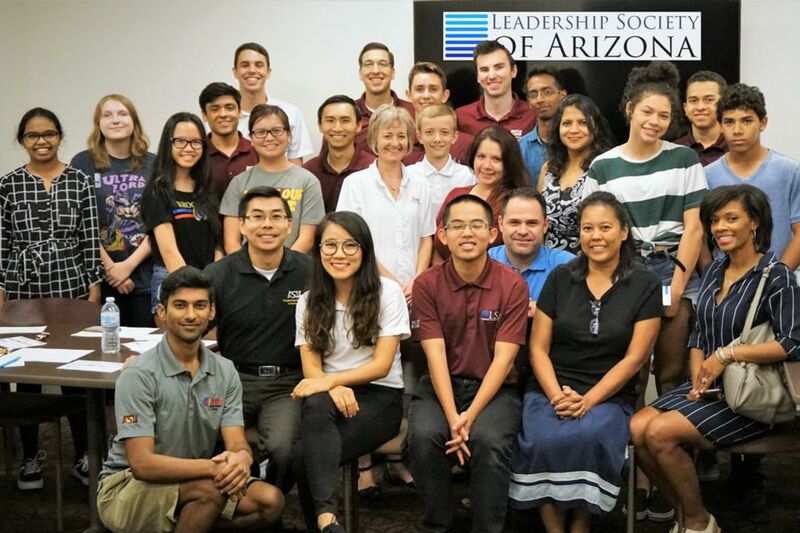 Join Leadership Society of Arizona in partnership with the International Facility Management Association at these one of kind FREE workshops! Simple Ideas That Will Change Your Life! Homework, going to the dentist, cleaning the toilet, babysitting your siblings, talking to Grandma on your birthday—are there things in your life you wish you didn’t have to do?Whether you call them chores or burdens, nobody really wants to do them, but you should. Everything happens for a reason. Your chores are part of your life, so they are part of your identity. In this workshop, we will crack the code behind chores. You will understand what your chores say about your personality, and how you can streamline them, so you have more time do what you love. Spaces are limited, please only RSVP if you know you can attend. Meet Steven. Steven gets decent grades. He’s the star pitcher, but he’s not good enough for the major leagues. Steven is going to college in two years, but he has no idea what he wants to study or what he’ll do when he graduates. His parents’ jobs sound boring, and he doesn’t really love any subject in school. What would you tell Steven?Most people think that finding a career is about learning as much as you can about the world and trying new things. We don’t agree. We would tell Steven that when he knows more about himself, he’ll know his future. In this workshop, we’ll teach you the secrets to figuring out who you are, what you’re good at, and where you will add the most value. In movies, popular people are always rich, pretty, and talented. In the real world, those things eventually fade away (just ask your uncle who doesn’t stop talking about his high school glory days). Being popular is all about being well-liked. Before people like you, you have to learn to like them. The only way to like and to be liked, is to understand others. As you learn to understand why people are who they are, you will automatically become kinder, wiser, and more likable. In this workshop, we will teach you all the shortcuts for understanding people and building good relationships.